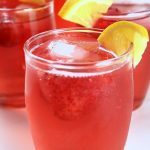 After making many pots of Kompot (Homemade Juice), here is a staple recipe using a VARIETY of fruits and berries! This is the basis to making the perfect homemade juice using an 8 qt (standard size) pot or 12 qt pot. I figured out the perfect ratio to juice making using mostly fresh fruits that were frozen but a mixture of both is absolutely fine. And by the way if you have any fresh cranberries around, this is a great way to use them up. When it’s the time of year to purchase fresh ones, stock up and freeze for future homemade juices. A lot of fruits is really unnecessary in Kompot making but the right amount can make a pleasant tasting juice. Using one kind of fruit like strawberries can be quite over powering and sweet, so try to use a variety of different fruits. Also try to add a little acidity by adding some lemon juice to mellow out the sweet fruity taste that can occur from some sweet fruits. Cooking time shouldn’t take that long. Usually, about 15 minutes of boiling time is enough. Afterwards, let the fruits brew in the water with the addition of sugar. It is recommend to make a pot at night and let the flavors brew overnight; this is a great way to have the fruits sit in the water for a good amount of time and cool properly. 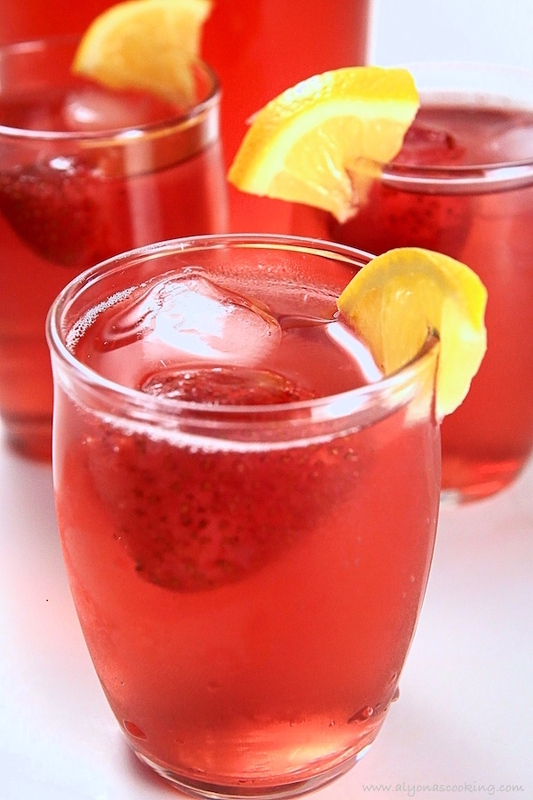 Use any combination of berries or fruit. 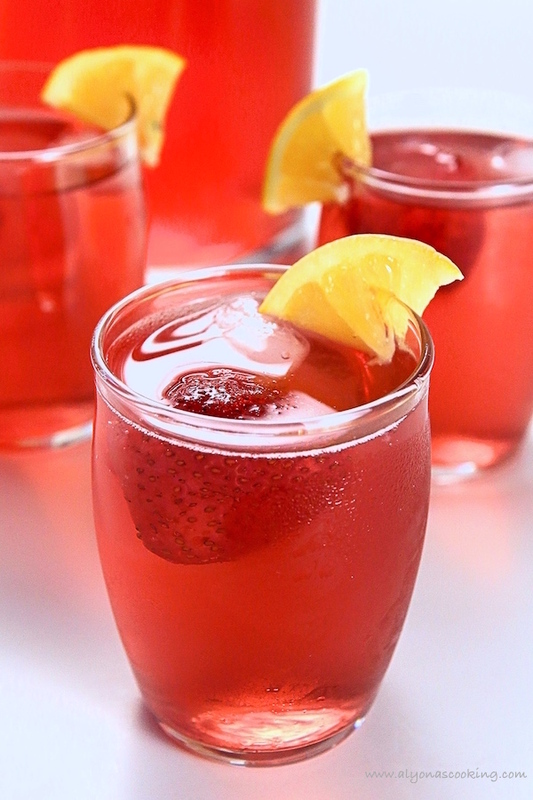 For darker Kompot, use more red berries like strawberries and cherries. 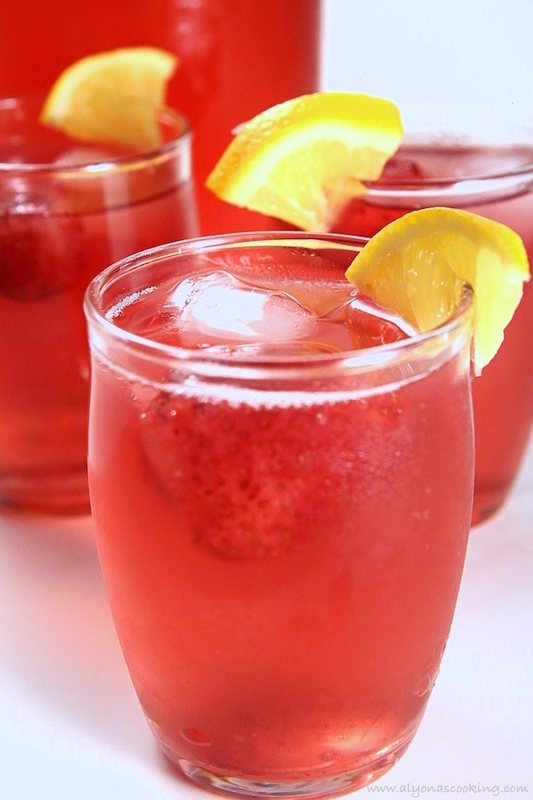 For a pinker juice, use only some strawberries or red berries. For more blue based Kompot, use more blueberries. Try to keep a balance between the fruits being used. 1-2 apples or peaches per apprx 3-4 cups of berries, is a good ratio to stick to. 1. First bring water to a boil. Then, add the fruits and lemon juice. Following that, simmer for 15 minutes. 2. After, stir in the sugar and turn off the heat. Allow to sit covered until cool. 3. Finally, once cool pour juice through a strainer and chill for best results. Bring water to a boil. Add the fruits and lemon juice. Simmer for 15 minutes. Stir in the sugar and turn off the heat. Allow to sit covered until cool. Once cool pour juice through a strainer and chill for best results. Absolutely love this Kompot every time we make it!